Have you heard the news? Our beloved piece of sandy paradise was selected as the ONLY Queensland destination on the Duke and Duchess of Sussex’s official Australian tour – and they will be arriving on the 22nd October at our very own, very humble, Kingfisher Bay Resort jetty! 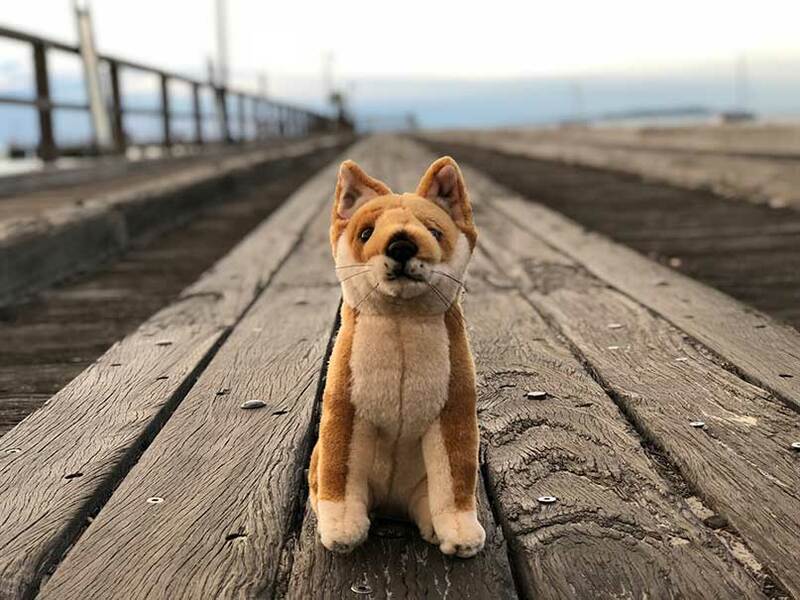 This little dingo is ready and waiting to give them a royal greeting on arrival, as will be hundreds of excited guests who were lucky enough to book this date at the resort in advance! Our team have been working behind the scenes to make sure that the resort grounds are ready for our royal visitors, who are travelling enroute to a special spot in Fraser Island’s World Heritage-listed rainforest, where they will unveil a plaque to commemorate the Queen’s Commonwealth Canopy initiative. The Duke and Duchess will meet with the Queensland Premiere and the local Butchulla People, and participate in a ‘Welcome to Country’ smoking ceremony, before heading across to one of the island’s iconic lakes to learn about the rich biodiversity and cultural significance of these areas. Fraser Island has over 100 freshwater lakes, with Lake McKenzie being the most famous for its ombre blue toned waters. But Lake Birrabeen is another contender for one of the top (but lesser known) spots on the island, and Lake Wabby is an emerald gem unlike any other, with sand dunes rolling in from the east and rainforest rising up to the west. Stay tuned for more exciting updates on the official royal tour of Fraser Island!